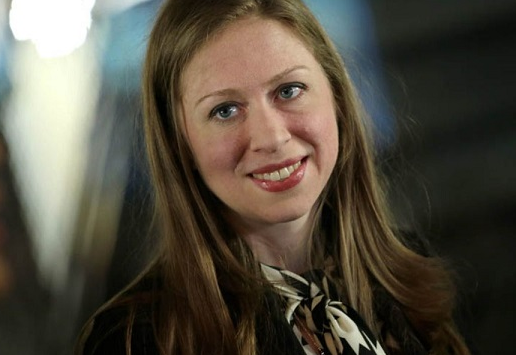 Chelsea Victoria Clinton simply named as Chelsea Clinton is an American author and global health advocate who is the only child of former U.S. President Bill Clinton and former U.S. Secretary of State Hillary Clinton. She has also worked as a special correspondent for NBC News from 2011 to 2014. At present, she works with the Clinton Foundation and Clinton Global Initiative. She has authored four children's books, with a fifth to be published in April 2019, and co-authored a scholarly book for adults on global health policy, as well as articles and opinion pieces published in major media outlets. She has received numerous awards and honors. On Friday night, best friends and New York University students Leen Dweik and Rose Asaf attended a vigil at their school's Islamic Center for the victims of the New Zealand mosque massacre. One of the other attendees caught their attention of Chelsea Clinton. The former first daughter last month tweeted to her 2.4 million followers criticizing Rep. Ilhan Omar, D-Minn., for comments about Israel that included what some saw as anti-Semitic stereotypes. "Co-signed as an American," Clinton tweeted in response to a tweet condemning Omar. "We should expect all elected officials, regardless of party, and all public figures do not traffic in anti-Semitism." On Friday night, Dweik couldn't let the moment pass without telling Clinton how she'd made them feel. After the event, she confronted Clinton about her tweet, accusing her of adding to the hatred of Muslims. On 27th February 1980, Clinton was born with the birth name of Chelsea Victoria Clinton in Little Rock, Arkansas to parents Bill Clinton and Hillary Clinton. She is of American nationality. Furthermore, she belongs to a mixed ethnic background of Welsh, French, French-Canadian, remote French Huguenot, English, Scottish, Irish, German, Swiss-German, Scots-Irish/Northern Irish, Dutch, and Swiss-French. Her religion is Christian and horoscope sign is Pisces. She became interested in the world of politics at an early age and accompanied her parents as they campaigned throughout Arkansas when she was just two years old. She began taking dance classes in Arkansas at age four. Concerning about her education, she attended Sidwell Friends School. Additionally, she received an undergraduate degree at Stanford University. She also earned master’s degrees from Columbia University’s Mailman School of Public Health and University College, Oxford. Furthermore, she earned a Doctor of Philosophy in international relations from the University of Oxford. Previously, Clinton had also attended Booker Arts and Science Magnet Elementary School, Forest Park Elementary School, and Horace Mann Junior High School. 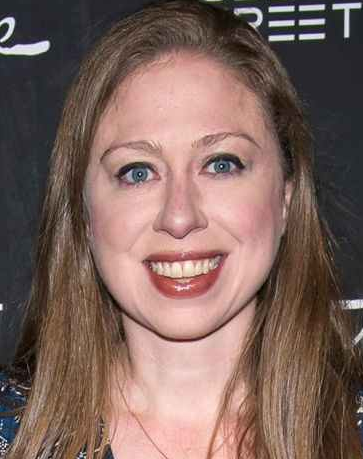 Chelsea Clinton is a very beautiful woman with a tall height of 5 feet 9 inches (1.75 m). She has a balanced weight of around 67 kg. She has a measurement of 37-27-37 inches (94-69-94) cm. Furthermore, her hair color is blonde and eye color is blue. Her other body measurement will be updated soon. In the year 2003, Clinton joined the consulting firm McKinsey & Company and then she worked for Avenue Capital Group. Later, she was appointed the Vice Chair for the Clinton Foundation. NBC hired her in November 2011 as a special correspondent. She then left the network in August 2014. She campaigned for both of Hillary Clinton’s presidential campaign. In the 2008 campaign, she spoke at more than 100 colleges on behalf of her mother’s candidacy. In the 2016 presidential campaign, she spoke in several campaign rallies. She also has a significant role in the Bill, Hillary & Chelsea Clinton Foundation. She was also named to the Board of Directors of Expedia Group in March 2017. Apart from her work in politics, she has also published books including ‘She Persisted’ and ‘It’s Your World: Get Informed, Get Inspired and Get Going!’. She received the Lifetime Achievement Award and also received the Glamour Award for Woman of the Year in the year 2014. The net worth of Clinton is estimated to have $15 Million as of 2019 but she has not revealed her current salary. There is no doubt that she is earning her salary in millions. She is satisfied with her earnings. Chelsea Clinton is a married woman. She is married to Marc Mezvinsky. Marc is an investment banker. They married on July 31, 2010, and the wedding took place in an interfaith ceremony in Rhinebeck, New York. The pair were previously engaged over Thanksgiving weekend in 2009. They have two children from this marriage, daughter Charlotte Clinton Mezvinsky and son Aidan Clinton Mezvinsky. The couple is living a happy life as of today. Her sexual orientation is straight.